This ecological rally raid along historical Silk Road, which used to run in the ancient times across our country connecting people, states and regions of Eurasian continent. In our days, Turkmenistan not only revive the Silk Road in its new role - it becomes important transport hub of the region and turns into big international logistic centre. These intensions are steadily implemented due to favourable geographic location and transport policy of the Head of the State who makes topical initiatives and takes practical measures for their promotion. For these purpose, transport infrastructure meeting international standards is created in the country, new highways and transnational railroads, railway and automobile bridges and new airports are built are built. Two big transit and transport facilities have been opened only for 2018, which is held in Turkmenistan under slogan “Turkmenistan – the Heart of the Great Silk Road”. These are Turkmenbashy International Seaport and Turkmenabat Airport. New airport in Lebap Velayat is not only to satisfy growing demands of the region in air transportation services but also to highlight the status of the city on the bank of Amudarya River as an administration centre of the region, which turns into big industrial cluster of Turkmenistan these days. This city is the successor of ancient Amul, which used to be the crossroad of the routes to Iran, India and Eastern Europe. This is also the place where the rally will start running across all velayats of the country, great Karakum Desert and will finish in Avaza on the Caspian coast, the Hazar, as it was called in the past. 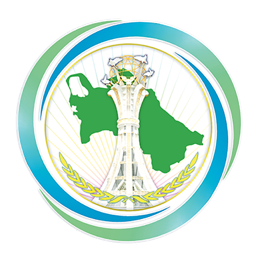 These days, Turkmenabat welcomes numerous guests from different parts of the world – the participants of the competitions, team members, journalists. Last preparation were made in starting camp before more than 80 crews have started their journey. They had thorough technical inspection certifying the vehicle and all gears (helmet, coverall, gloves, footwear) for the compliance with set standards. In the afternoon, Turkmenabat hosted the briefing with the participation of Jean Louis Schlesser, Director of the race Rene Metz and famous sportsmen of the rally. The first road maps were handed over to the crew members. Instructions on use of the GPS on the routes and other recommendations have been given as well as the rules and other details have been highlighted at the briefing. For example, Mr Schlesser made special mention that if the crew would help out to other team, which is in trouble on the route, the time spent for rendering of such help, will not be counted at the finish. The completion of the races has not exclude mutual support and help. Amul – Hazar rally has to be exemplary in this aspect. Referees of the competitions have been also introduced at the briefing. Mass media representatives from 25 countries took part in the briefing. Colossal organization work was carried out from the beginning of the preparation of the rally, which has been launched by President Gurbanguly Berdimuhamedov at the same place at the wall of ancient Amul Stronghold in Turkmenabat. Numerous presentations, which attracted keen interest of the world community to this unique project, have been held in foreign countries. It was just a matter of hours until the start of the race. It was forestalled by the parade of the participants of the competitions. The ceremony took place at Baydak Square with the main flagpole of Lebap Velayat. Turkmenistan State Flag was flying on 100 meters height. Welcome signboards, bright banners with landscapes of Turkmen desert and symbols of the competitions were installed along the road to the square. The image of Vepaly the alabay, the symbol of the Asian Games, which was loved by everybody and who did not leave us after the completion of those competitions but entered new 2018, having become the symbol of the year of the Do, has also been displayed on the banners. Tribune and arch-shaped construction, huge monitors and music systems have been installed on the square. Celebration atmosphere was created by joint popular orchestra of Lebap Velayat. Many people gathered at the square, as this is very important event in the history of the city and country. The Speaker of the Parliament, Deputy Chairmen of the Cabinet of Ministers, heads of military and law enforcement agencies, ministries and deprtments, representatives of public organizations, foreign and national media, foreign ambassadors to Turkmenistan, businessmen and cultural personnel, Hyakim of Lebap Velayat, local residents and the elders gathered at the square. Everybody met the motorcade of the Head of the State with great enthusiasm. The master of the ceremony gave floor to the President of Turkmenistan. The Head of the State addressed the participants of the events with welcoming speech and congratulated cordially on the starting rally. We make this international sport holiday named Amul – Hazar 2018 and welcome the sportsmen who came from other countries to participate in the competitions and all guests in Turkmen land, the Head of the State said. In his speech, the President of Turkmenistan described the route of the rally, which total length is 1,571 kilometres. Having congratulated the participants on the beginning of the rally and wished them success, the Head of the State invited French guest Jean Louis Schlesser, the General Director and Organizer of the famous Africa Eco Race who is also known as two-times winner of the World sport races and two-times winner of Paris – Dakar. The Head of the State went to the tribune in front of special podium installed for ceremonial parade of the racing teams. Jean Louis Schlesser entered the square on white convertible Lincoln. Having driven across the podium he broke in front of the tribune and addressed Turkmen leader, having at first expressed the gratitude for his idea about Amul – Hazar 2018 rally. President Gurbanguly Berdimuhamedov is big supporter of sports especially the motor races. Therefore, the sportsmen in this discipline and organizers of the competitions was very lucky, Mr Schlesser said. As a leader of organization team, he also expressed the gratitude for significant assistance and efficient support of great work that has been done for six months. “I would like to express the gratitude to all participants who came, as coing together of more than 500 people of 25 nationalities for sedute competition is a feat”, - Mr Schlesser continued, having mentioned that excellent crews and racers with the world names have gathered there. The gratitude has also been expressed to those who was involved in preparation work and in conduct of the rally, the specialists from Europe and Turkmenistan. In the end, Mr Schlesser wished successful race until the finish in Hazar to all crews. After, the Head of the State gave start to ceremonial parade of the participants of International rally Amul – Hazar 2018. The master of ceremony started announcing the countries and names of the racers. The parade was opened by the sportsmen of Turkmen team as the hosts of the competitions who drove across the podium on four light vehicles. Total, there will be 15 Turkmen crews in the rally. After, the rest of the teams from dozens of the world countries drove by in alphabetic order. There were more than 150 pilots and navigators, most of them will compete in mixed composition, in other words, international teams. The vehicles drove by the podium for about one and hag hour shining with polished bodies and nickel details under the beams of stage lights. There were many brands like Mini, Nissan, Toyota, Mitsubishi, Chevrolet, BMW, Peugeot, Opel, Porsche, Land Rover, Suzuki, Chrysler and other, the most reliable vehicle of the world motor industry. Undoubtedly, their engines and drives are totally different from regular series vehicles, which has only the same body. This is because the vehicles for the rally are reinforced, improvised and strengthened. Special crush protections are mounted, seats are replaced, fire suppression system is installed. The convoy of heavy vehicles drove by the podium. These were unconditional leaders among the heavy weights like KAMAZ, MAZ, GAZ, MAN. The procession was closed up by the crew of Turkmenistan national team again. After the events, President Gurbanguly Berdimuhamedov left the place of the event.